Airlines within the Lufthansa Group are changing how award miles are credited to boost rewards to purchasers of higher-priced tickets. The group is introducing a flexible system for crediting award miles in its Miles & More programme that links the number of awarded miles to the price of the ticket. Beginning in March 2018, the number of award miles that are credited will be based on the price of the flight – i.e the price of the ticket plus any additional fees charged by the respective airline – and on the frequent flyer status of the participants in the programme. Under the old system, booking class or rather booking class and the length of the route determined the number of miles that were awarded. Going forward, Miles & More participants will receive four to six award miles per euro spent, corresponding with their particular booking habits and flight patterns. 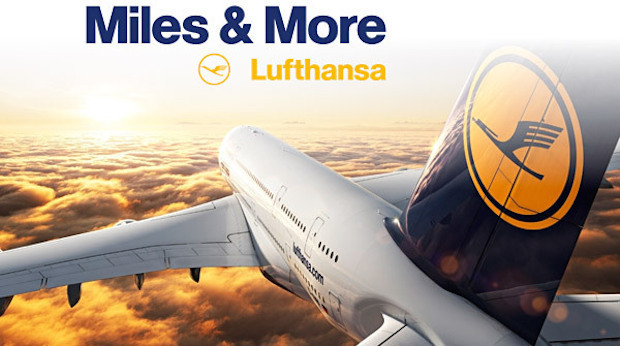 The new reward system applies to flights with Lufthansa Group airlines Lufthansa, SWISS, Austrian, Brussels Airlines and Eurowings, as well as to all other Miles & More partner airlines, provided the ticket for the flight was issued by a Lufthansa Group airline. The move means that Miles & More participants will always receive at least four award miles per euro spent on flights with the airlines listed. Members with frequent flyer status will receive six award miles per euro on flights with Lufthansa, SWISS and Austrian Airlines as well as with United Airlines and Air Canada. This means bonus award miles that status members receive for flights with the network airlines and transatlantic joint venture partners will double from 25 to 50 per cent. The same applies to the airlines Adria Airways, Air Dolomiti, Croatia Airlines and LOT Polish Airlines, which also participate in the Miles & More frequent flyer and reward program. On flights with Eurowings, Brussels Airlines and all other Miles & More partner airlines, the award mile bonus will remain at 25 per cent, which means that status members will receive five award miles per euro spent. Award miles can only be credited according to this new system if the tickets for the flight were issued by a Lufthansa Group airline, not by other airlines. The frequent flyer status of participants, the privileges associated with that status and the allocation of status miles will not be affected by the new system for award miles. This change will also not have a fundamental impact on the number of award miles that are distributed by the airlines over all, or on the availability of flight rewards.